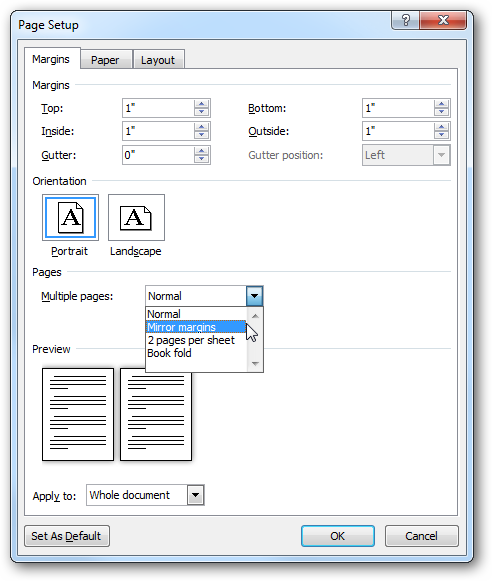 In previous versions of Office, going through a lot of different setting screens could sometimes make printing a chore. 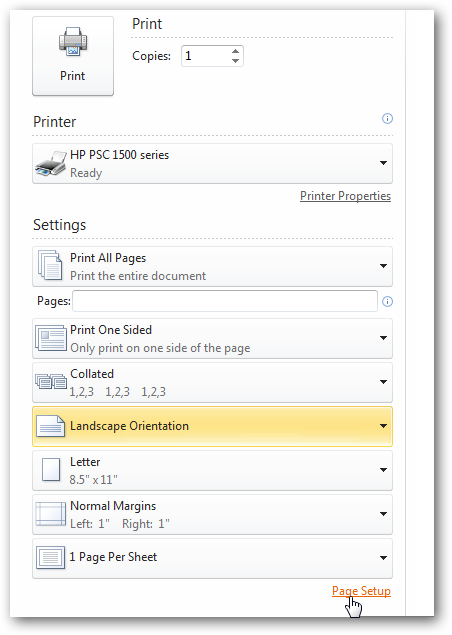 Today we check out the streamlined printing options available in Office 2010 Backstage. When you’re ready to print your document, click on File to open up Backstage View then click on Print. Print Preview has been combined with Print so you can take care of virtually all your printing options and settings from one spot. You can select the different print options and settings. 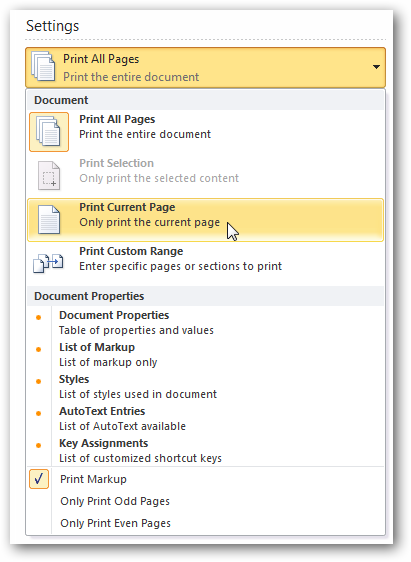 A nice list of settings for printing out an entire document. It includes easier access to Page Setup. 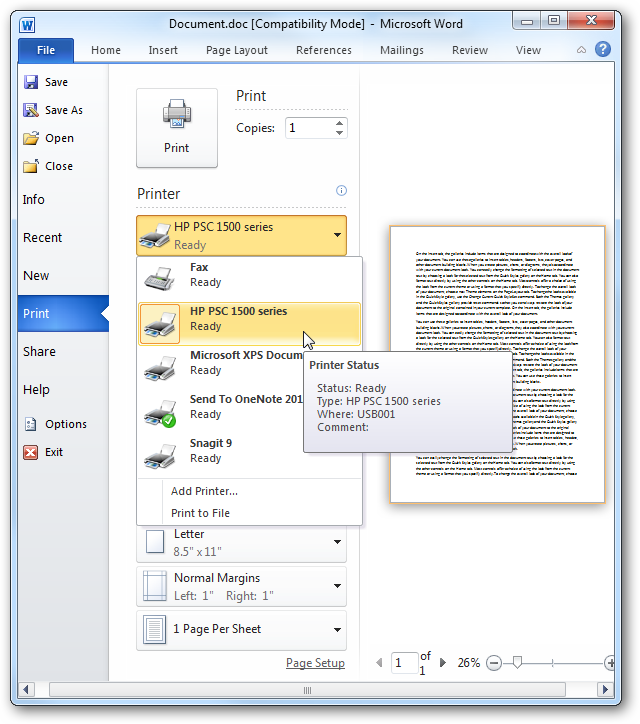 Also easier access to Printer Properties. 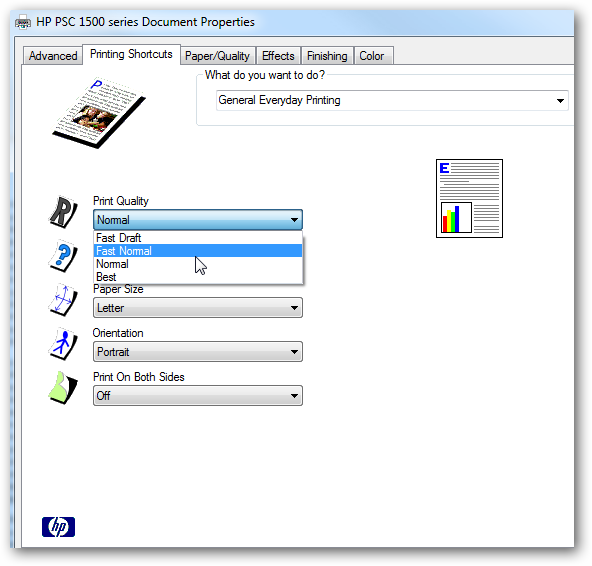 When you choose different printing options and layouts, you get can immediately see how the document will look without having to navigate through several dialog boxes. This is one of several enhancements available in Office 2010 that should help you get work done easier and more quickly. 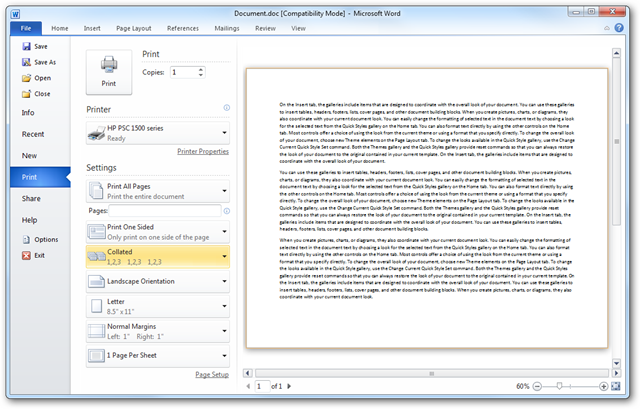 In this example we show Word 2010, but the same settings are available in the other apps included in the suite. Of course anyone can download and install the new Office 2010 Beta and give these new options a try.